I liked this movie more than I was initially expected to. I think with everyone who isn't familiar with the Marvel universe outside of the comics, they thought this was basically a filler movie, not really serving a purpose. That couldn't be further from the truth, the payoff with Scott Lang / Ant-Man is going to be huge, if Marvel goes the direction most of the comic guys are thinking. But as for this movie everyone from Paul Rudd, Michael Douglas, Evangeline Lilly and Corey Stoll as the main villain Darren Cross aka Yellowjacket, did a great job with this movie. I think the additional supporting acting with Michael Peña & T.I. was spot on by Marvel; when do these guys ever miss a beat with their casting? I also give Marvel major props for giving Garrett Morris a cameo after he portrayed Ant-Man in a Saturday Night Live skit. The plot was pretty cut and dry with them not really trying to do too much, as they should. Everyone hit their scenes in stride and you couldn't tell for one second that the film faced production trouble at the beginning of filming. 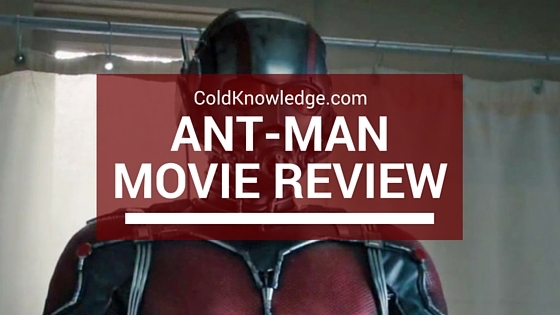 The movie just flowed naturally, and what I liked the most about the movie was that they didn't take too much time for him to get into the suit and understand why he had to become Ant-Man. You know they had to throw in the mentions of other movies which they did well, and they didn't have to rely on any of the predecessors in any regards. Ant-Man's bout with Falcon was a perfect teaser for what he's going to do when he eventually joins the team for Civil War, showing that he has the fighting ability to hang with the rest of the team. This was a great way to close out phase two and open up for phase three with the lesser known properties such as Doctor Strange, Black Panther, Captain Marvel & the Inhumans getting a buzz from the causal fan. I'm glad that they treated this movie as a big one just as any other release and it shows that Marvel is just as dedicated to the overall universe outside of just the Avengers. This movie didn't disappoint at all, and it exceeded expectations for me and I know a lot of people who went to go see it, and they liked it. I don't think anyone who saw it said anything bad about it, which is always a good thing. I'm looking forward to his role in Civil War and beyond. Did you see Ant-Man? How did you like it? Leave it in the comments below.